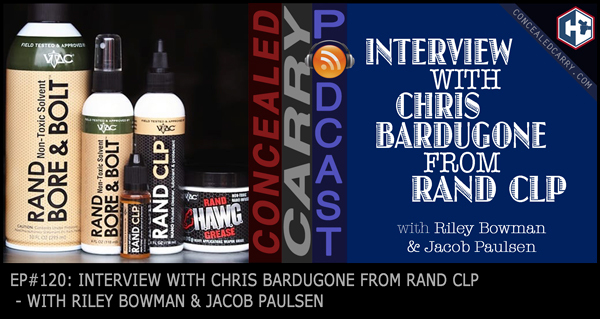 Riley and Jacob got to spend a few minutes interviewing Chris Bardugone from RAND CLP about all the exciting stuff they are putting out that makes it easier to clean, protect and keep running reliably your firearms. We all love our guns, but we don't always enjoy the work involved in keeping them in tip-top shape. RAND CLP keeps things cleaner and helps prevent fouling. Listen in to hear how! Please check out our NEW Guardian Essentials – Pistol course on May 19th, 2017!